After years, I mean decades, of working toward a goal, it’s really a great feeling to meet it. I started thinking about writing a novel based on a series of stories I wrote in 1994 about problems in the Arkansas 309 prison program. Lack of confidence, life, and other issues kept me from ever starting to work on the novel for ten to fifteen years. Then I piddled at it forever. My daughters will even tell you that I wouldn’t even call it a book for years. It was “my project.” Seven or eight years ago I got more serious about it, joined Northwest Arkansas Writers Workshop and rewrote it. Then I rewrote it again, and again, and again. Thanks to Shannon Press, a division of Oghma Creative Media, A Lovely County has been published and released on Amazon this week! I can’t tell you how thrilled and excited I am with this accomplishment. Yes, I am writing still. 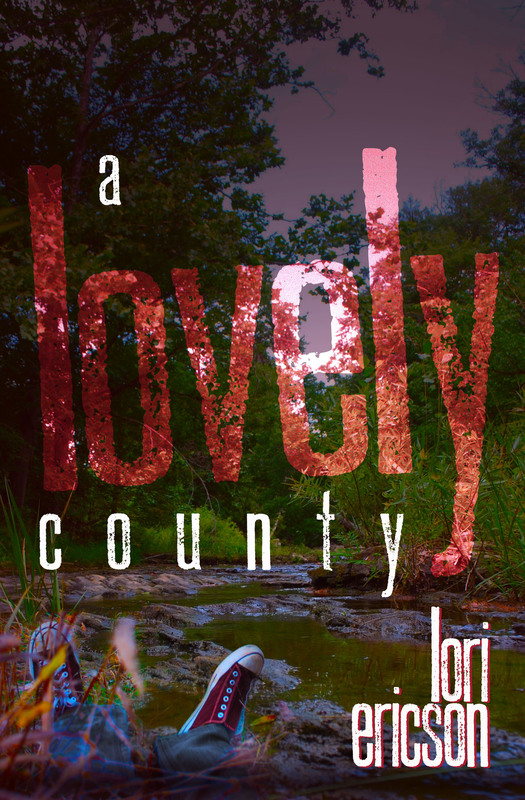 I have a thriller in the works that may turn out to be a novella, and I’m working on the second in a series about reporter Danni Edens, the protagonist in A Lovely County. Thank you to everyone who supported me through this process, especially Sara and Hillary, my daughters, and my ever-proud husband Lloyd. Also, I doubt I’d ever get to this place without the Northwest Arkansas Writer’s Workshop. Thank you to everyone who read and critiqued and encouraged in our weekly sessions. This entry was posted in Inspiration, Mystery/Thriller Writing, Writing and tagged A Lovely County, Amazon, Northwest Arkansas Writer's Workshop, Oghma Creative Media, proud husband, Published by Lori Ericson. Bookmark the permalink. I’m so happy for you Lori! Can’t wait to read your new book! Thank you, Allyson. I’m so excited over the response it’s getting! Yes, but probably not until early March. Thank you, Alice! Cool beans 😀 I will be looking forward to that!